Upper leaves are a wonderful golden yellow that stand out against the rich green leaves below. Will take full sun without scalding, but also does quite well in some shade. 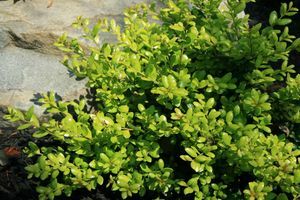 A versatile, eye-catching evergreen accent plant.